The Krewe of Bacchus announced this morning on Facebook that Jensen Ackles (Dean Winchester, Supernatural) will reign as Bacchus (King) at the 51st Krewe of Bacchus. Jensen Ackles as Dean Winchester on ‘Supernatural.’ Image courtesy of The CW. According to the Krewe of Bacchus website, it “is one of the most innovative Mardi Gras parades in New Orleans Carnival history. 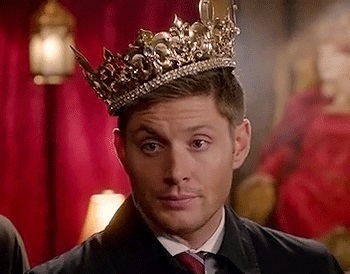 In 1969 Bacchus broke with Mardi Gras traditions and announced that a national celebrity would reign as King”, and this year it is Jensen Ackles’ turn. The Krewe of Bacchus has had other celebrity kings in the past, including Will Ferrell, John C. Riley, Elijah Woods, and Nicolas Cage. As you can see on the Krewe of Bacchus website, the King is always dressed the part, and that is certainly something to look forward to! For more information, make sure to visit the Krewe of Bacchus website. Wynonna Earp – Special Season Premiere Tonight!